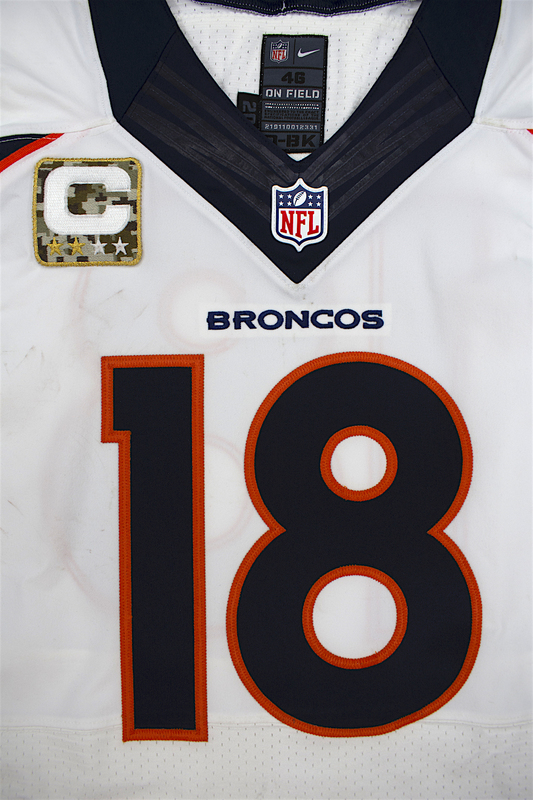 This beautiful road Denver Broncos jersey was worn by Peyton Manning during his record setting 2013 NFL Season. 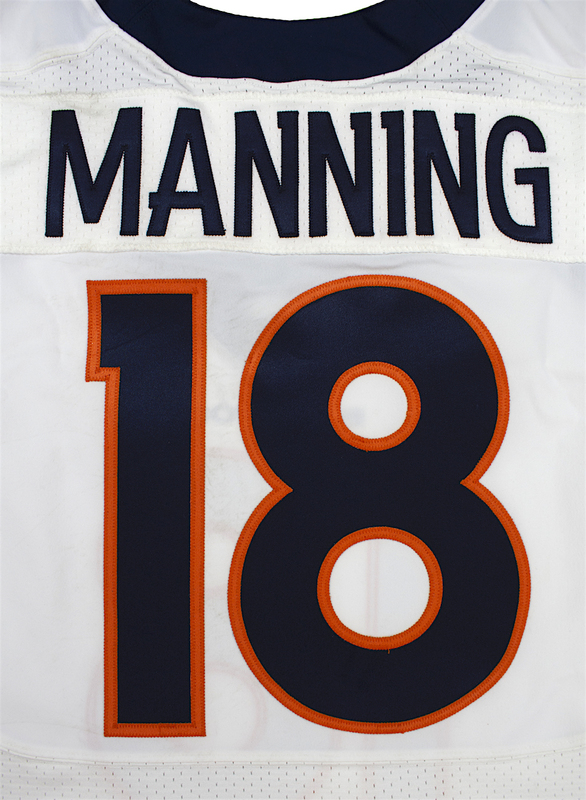 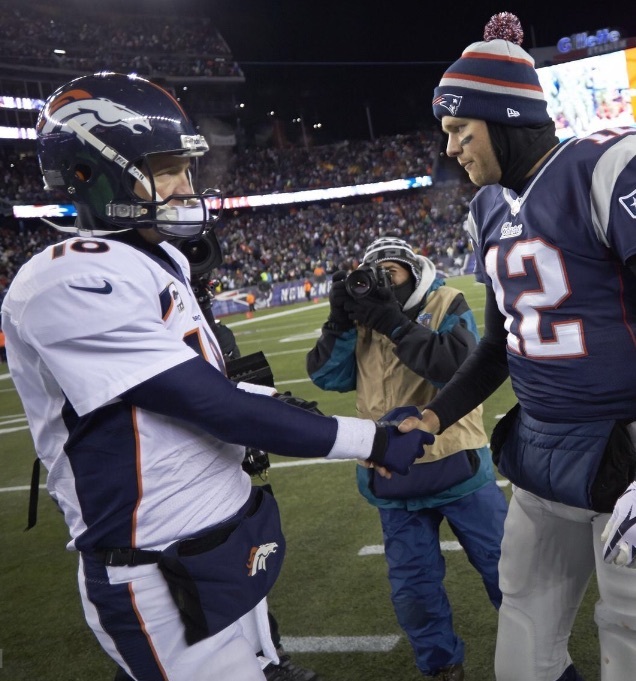 The jersey was worn on November 24, 2013 versus the New England Patriots and photo matches to the contest. 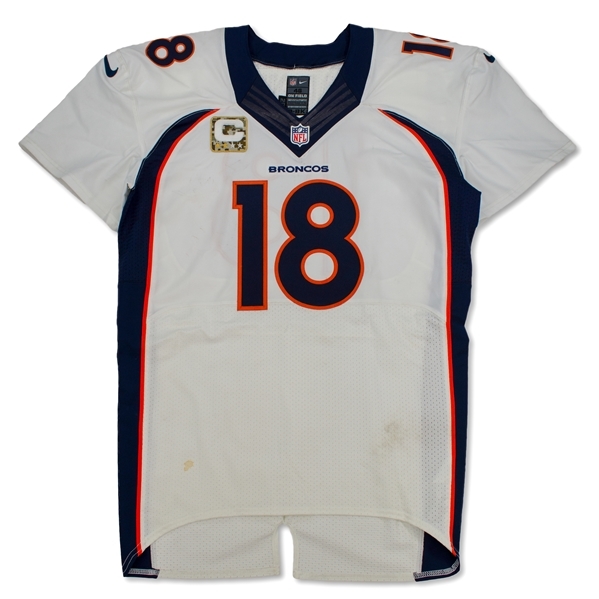 The jersey shows evident game use with light staining and scuffs and appears to be unwashed. 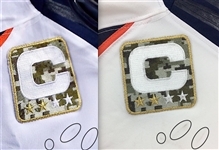 The size 46 Nike jersey is tagged "2013, "SKILL" and bolsters a 2-star camouflage captain's patch. 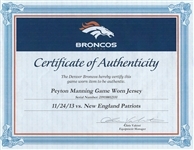 The garment is accompanied by certificates of authenticity from the Denver Broncos and Panini. 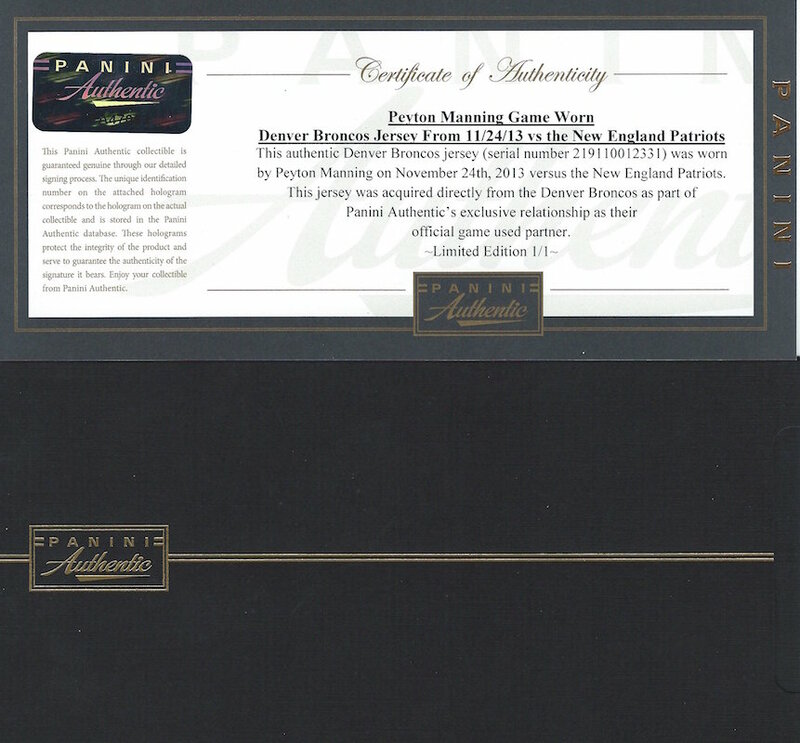 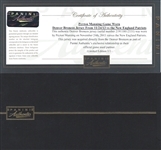 The jersey comes with a photo match letter of authenticity from Real Game Used (RGU). 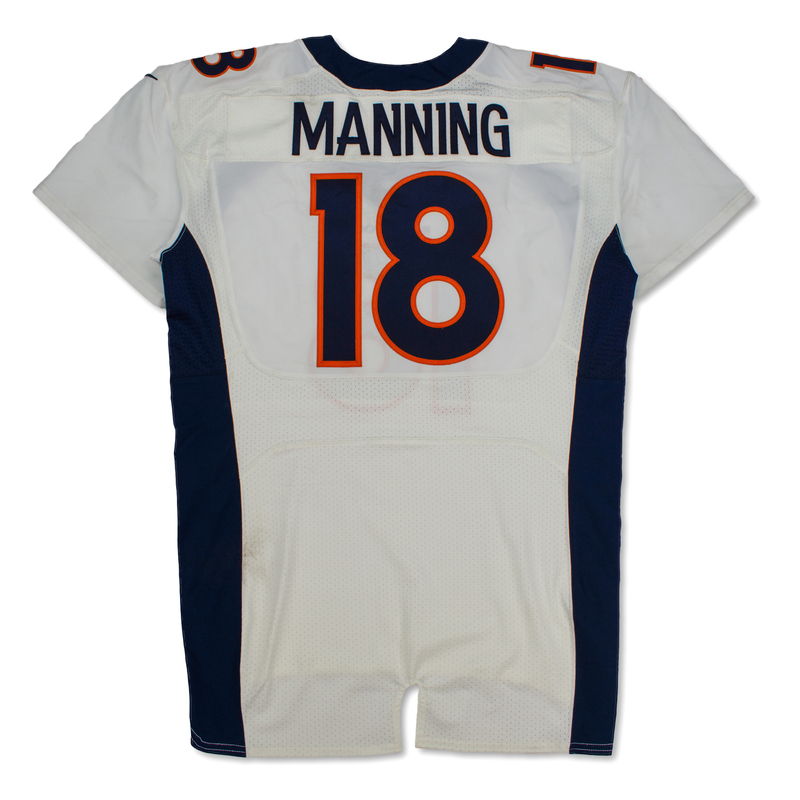 During the 2013 NFL season Peyton Manning set several records but the most notable were his breathtaking 55 Passing Touchdowns and 5,477 passing yards on the season.